As to God’s name, it is a very important aspect of the truth. It is written in Exodus 3:15, “And God said moreover to Moses, Thus shall you say to the children of Israel, the LORD God of your fathers, the God of Abraham, the God of Isaac, and the God of Jacob, has sent me to you: this is my name for ever, and this is my memorial to all generations.” Exodus 6:2-3 says, “And God spoke to Moses, and said to him, I am the LORD: And I appeared to Abraham, to Isaac, and to Jacob, by the name of God Almighty, but by my name JEHOVAH was I not known to them.” These verses show that God did not have a name in the beginning. At that time, God was just called “God.” God only took the name “Jehovah” when He called Moses to lead the Israelites out of Egypt. That is, God had the name Jehovah when He began the work of saving mankind. In the last days, Almighty God comes to do work. Through expressing words, He has disclosed the mystery of God’s name. After reading His words, we understand: There are three stages in God’s work of managing and saving mankind. In His work to save mankind, with His name, He initiates each age and unfolds His work, and shows us the disposition He expresses in each age. Those in the Age of Law were a newborn human race. They didn’t know how to live, nor how to worship God or how to offer sacrifices to God. All they knew was that the husband must sweat and labor to provide for his family and the wife must submit to her husband and bear and raise children. 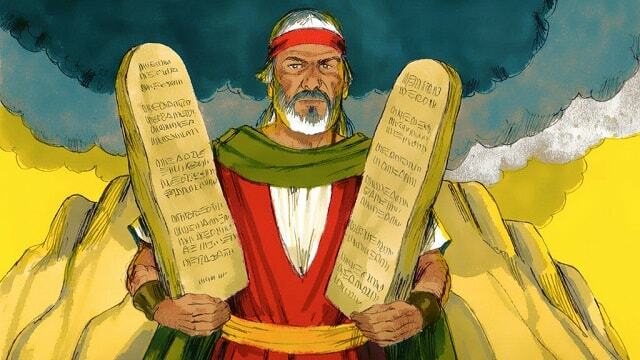 So God issued laws and commandments through Moses to lead them. Therefore, in the Age of Law, God took His name according to His work of that time, which has great significance. Almighty God says, “‘Jehovah’ is the name that I took during My work in Israel, and it means the God of the Israelites (God’s chosen people) who can take pity on man, curse man, and guide the life of man. It means the God who possesses great power and is full of wisdom. … That is to say, only Jehovah is the God of the chosen people of Israel, the God of Abraham, the God of Isaac, the God of Jacob, the God of Moses, and the God of all the people of Israel. And so in the current age, all the Israelites apart from the tribe of Judah worship Jehovah. They make sacrifices to Him on the altar, and serve Him wearing priests’ robes in the temple. What they hope for is the reappearance of Jehovah” (“The Savior Has Already Returned Upon a “White Cloud”). We can see from God’s words: In the name of Jehovah, God started His work in the Age of Law. He issued laws and commandments and formally led His new-born mankind to live on earth. He demanded they strictly obey the law and learn how to worship and magnify God. God’s blessing and grace would lie upon whoever obey the law of Jehovah. Those who broke the law would be stoned to death, or burned by heavenly fire. So the Israelites under the law kept it faithfully, honored Jehovah’s name as sacred, and lived thousands of years under Jehovah’s guidance. 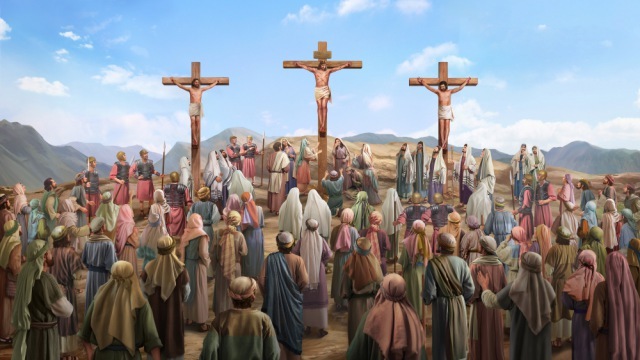 At the end of the Age of Law, people had become increasingly corrupt and sinful and were unable to keep the law, and everyone was in constant danger of being punished and executed for breaking the law. Therefore God did a stage of work of redemption in the name of “Jesus.” He ended the Age of Law and initiated the Age of Grace. He laid His boundless grace upon us humans, and finally was crucified to redeem us from the claws of Satan. Almighty God says, “‘Jesus’ is Emmanuel, and it means the sin offering that is full of love, full of compassion, and redeems man. He did the work of the Age of Grace, and represents the Age of Grace, and can only represent one part of the management plan. … Only Jesus is the Redeemer of mankind. He is the sin offering that redeemed mankind from sin. Which is to say, the name of Jesus came from the Age of Grace, and existed because of the work of redemption in the Age of Grace. The name of Jesus existed to allow the people of the Age of Grace to be reborn and saved, and is a particular name for the redemption of the whole of mankind. And so the name Jesus represents the work of redemption, and denotes the Age of Grace. The name Jehovah is a particular name for the people of Israel who lived under the law. In each age and each stage of work, My name is not baseless, but holds representative significance: Each name represents one age. ‘Jehovah’ represents the Age of Law, and is the honorific for the God worshiped by the people of Israel. ‘Jesus’ represents the Age of Grace, and is the name of the God of all those who were redeemed during the Age of Grace” (“The Savior Has Already Returned Upon a “White Cloud”). God’s word makes clear that Jesus is the name of God during the Age of Grace. Since the Lord Jesus began to preach the way of repentance, we humans have begun to pray in Jesus’ name, to worship Jesus’ name as sacred, and to enjoy the forgiveness of God and His boundless grace. The name Jesus exists to allow the people of the Age of Grace to be reborn and saved. Its meaning is the sin offering full of love and mercy that redeems people. The name Jesus represents God’s redemptive work, and also God’s disposition of love and mercy. God takes a different name for each stage of His work. However, we are easy to hold on to God’s name during the work that He did in times gone by, thus defining God, resisting God and disrupting and disturbing God’s work. Were the Pharisees not an example? When the Lord Jesus came to do work, they only kept the name of the Messiah in the prophecies, believing that the Lord was not God unless He was called the Messiah. So they did their best to resist the Lord Jesus, tried to find all kinds of accusations against Him, and even crucified Him. In the end, they were punished by God and suffered the loss of their nation. As for those who accepted the Lord Jesus’ name, they followed the footsteps of the Lord Jesus, enjoyed the work of the Holy Spirit and boundless grace the Lord bestowed upon them. However, the sins of us humans have been forgiven through the Lord Jesus’ redemption, but we have still not been cleansed by God, our sinful nature still remains and we still often sin. In order to completely save us from sin, God does a new work of completely purifying and saving men based on the Lord Jesus’ redemptive work in the last days. And so, God takes another new name. Almighty God says, “Although Jehovah, Jesus, and the Messiah all represent My Spirit, these names only denote the different ages in My management plan, and do not represent Me in My entirety. The names by which people on earth call Me cannot articulate My entire disposition and all that I am. They are merely different names by which I am called during different ages. And so, when the final age—the age of the last days—arrives, My name shall change again. I shall not be called Jehovah, or Jesus, much less the Messiah, but shall be called the powerful Almighty God Himself, and under this name I shall bring the entire age to an end. I was once known as Jehovah. I was also called the Messiah, and people once called Me Jesus the Savior because they loved and respected Me. But today I am not the Jehovah or Jesus that people knew in times past—I am the God who has returned in the last days, the God who shall bring the age to an end. I am the God Himself that rises up at the ends of the earth, replete with My entire disposition, and full of authority, honor and glory. People have never engaged with Me, have never known Me, and have always been ignorant of My disposition. From the creation of the world until today, not one person has seen Me. This is the God who appears to man during the last days but is hidden among man. He resides among man, true and real, like the burning sun and the flaming fire, filled with power and brimming with authority. There is not a single person or thing that shall not be judged by My words, and not a single person or thing that shall not be purified through the burning of fire. Eventually, all nations shall be blessed because of My words, and also smashed to pieces because of My words. In this way, all people during the last days shall see that I am the Savior returned, I am the Almighty God that conquers all of mankind, and I was once the sin offering for man, but in the last days I also become the flames of the sun that burn all things, as well as the Sun of righteousness that reveals all things. Such is My work of the last days. I took this name and am possessed of this disposition so that all people may see that I am a righteous God, and am the burning sun, and the flaming fire. It is so that all may worship Me, the only true God, and so that they may see My true face: I am not only the God of the Israelites, and am not just the Redeemer—I am the God of all creatures throughout heavens and earth and seas” (“The Savior Has Already Returned Upon a “White Cloud”). It can be seen from God’s words that in the last days, when God comes to do His work, He will no longer be called Jehovah, nor Jesus, but instead He will be called Almighty God. This fulfills what was prophesied in Revelation 3:12, “Him that overcomes will I make a pillar in the temple of my God, and he shall go no more out: and I will write on him the name of my God, and the name of the city of my God, which is new Jerusalem, which comes down out of heaven from my God: and I will write on him my new name.” This verse shows that with His new name, God will make a group of overcomers in the last days. With the name “Almighty God,” God ends the Age of Grace and initiates the Age of Kingdom. Replete with the disposition of righteousness, majesty and wrath, God comes to do the work of judgment in the last days. He expresses words to judge and cleanse men’s corrupt disposition, to save us from Satan’s influence of darkness completely, and to bring us into the beautiful destination. When God’s great project is completed, His work of 6,000 years of management will come to an end. God’s word says, “The day will arrive when God is not called Jehovah, Jesus, or the Messiah—He will simply be called the Creator. At that time, all the names that He took on earth shall come to an end, for His work on earth will have come to an end, after which He shall have no name. When all things come under the dominion of the Creator, why call Him by a highly appropriate yet incomplete name? Do you still seek God’s name now? Do you still dare to say that God is only called Jehovah? Do you still dare to say that God can only be called Jesus? Can you bear the sin of blasphemy against God?” (“The Vision of God’s Work (3)”). God’s words tell us that one day, God will no longer use a highly appropriate yet incomplete name to represent Him. God will no longer be called Jehovah, nor Jesus. He will be called the Creator. This is the most proper way for us to call God. Contact Us! Any suggestions for our website, or any problems in your belief or life? Feel free to contact us. Hello! Welcome to Grow in Christ. Begin each day with our website! Why do I still need to believe in Almighty God so as to be saved since I believe in the Lord Jesus? Review of Knocking at the Door: What Are Those Shots Telling Us? Do You Know the Origin and Significance of Name “Jehovah”? In the Age of Law, God told Moses that God’s name is “Jehovah”. What’s the meaning of this name? Does His name have anything to do with His work in the Age of Law? Let’s read the following article. by Su Rui Speaking of God’s name, everyone is familiar with..
Why Does God Have Different Names? There is only one God, but why does God have different names? What is the mystery within? It is written in the Bible, there is none other name under heaven given among men, only Jesus is the Savior, and He is the same yesterday, today, and forever. But why are you believing in Almighty God? Bible Reference “Him that overcomes will I make a pillar in the temple of my God, and he shall go no more out: and I will write on him the name of my God, and the name of the city of my God, which is new Jerusalem, which comes down..
What Names Does God Have? And What’s the Meaning of Them? During the time of the New and Old Testament, God has many names. What’s the special meaning of these names? As for these questions, I finally got the exact answer. Why Does God Take Names, and Why Does God’s Name Change? Jehovah and Jesus are all God’s names, but why does His name change? This is closely correlated with His plan for man’s salvation.